This is one of the easiest, yummiest and affordable dessert recipes I’ve ever come across. I love food that’s served in ramekins because it always looks great and costs are kept down by controlling portion size. Originally from Nigella Lawson’s Nigella Bites, this gluten free dessert is a winner in my book because it takes no more than 10 minutes to make and then it’s straight into the fridge for later – and it’s literally all done. Every time I make these rich little treasures they get devoured. The mixture makes 8 small ramekins (about 1/3 cup capacity each), but In the photo above, I over-filled mine and so it only made 6 portions. I picked up my little ramekins from Kitchen Antics for $1.95 each. Tonight they’re on offer because it’s the State of Origin and my sister and brother in law are coming to watch it with us. Total cost $3. Crush the chocolate to smithereens in a food processor. Heat the cream and milk until just about boiling, add the vanilla and pour down the funnel over the chocolate. Let stand for 30 seconds. Process for another 30 seconds, then crack the egg down the funnel and process again for 45 seconds. 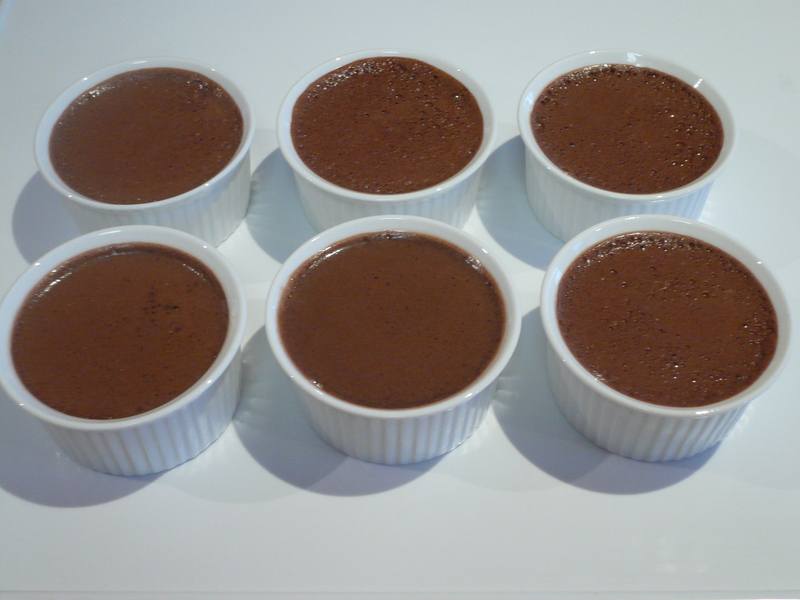 Pour into 8 little ramekins until 3/4 full. Refrigerate for 6 hours or overnight. Serve naked or topped with berries.